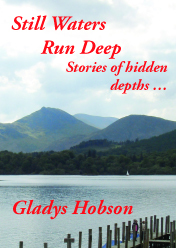 These stories, works of fiction, have Cumbrian settings (especially Furness), although some are imaginary even if based on actual places. Mystery and imagination: humour and horror, love and hate, joy and sorrow, poignancy and lust. Passions run deep wherever you live. Each tale has an interesting introduction as to what inspired the story.